U.S. President Donald Trump walks out from the Oval Office of the White House in Washington, U.S., before his departure to Greer, South Carolina, October 16, 2017. 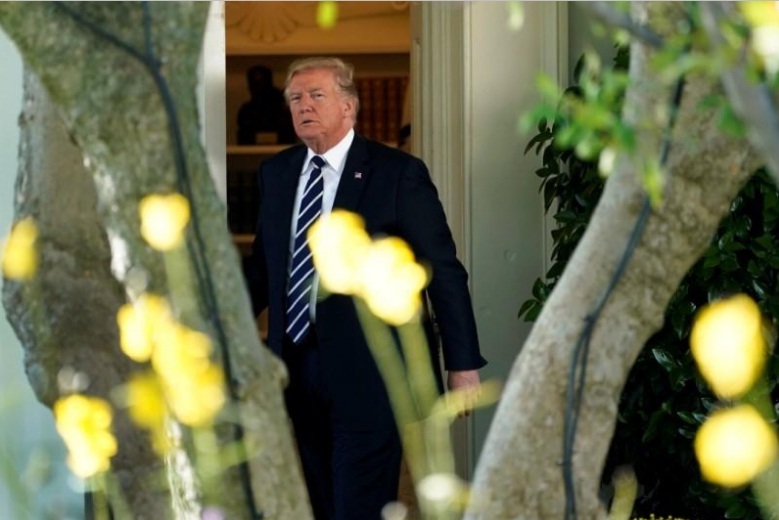 WASHINGTON - Aides to former U.S. President Barack Obama fired back on Tuesday as criticism mounted over President Donald Trump’s claim that past U.S. presidents did not contact family members of soldiers who died in combat during their time in the White House. Obama’s former White House spokesman Josh Earnest said on Tuesday that Obama would repeatedly “show his enormous respect ... for those who had paid the ultimate sacrifice for our country” through various visits and meetings as well as phonecalls and letters. Trump, a Republican who as president serves as commander-in-chief of the U.S. military, then appeared to criticize his predecessors handling of the issue of American soldiers’ deaths. “The traditional way, if you look at President Obama and other presidents, most of them didn’t make calls. A lot of them didn’t make calls,” Trump said. Obama’s former aides were quick to lash back. “Stop the damn lying - you’re the President,” Eric Holder, Obama’s former attorney general, said in a post on Twitter. Alyssa Mastromonaco, Obama’s former deputy chief of staff, also called it a lie. Earnest, now an MSNBC commentator, told the network that past Republican and Democratic presidents had recognized their duty to honor soldiers’ sacrifices and not highlight their own actions. “Unfortunately, President Trump seems incapable of actually doing that,” Earnest said. An aide to Clinton told ABC News that he did call the families of fallen soldiers. Aides to former U.S. President Barack Obama fired back on Tuesday as criticism mounted over President Donald Trump’s claim that past U.S. presidents did not contact family members of soldiers who died in combat during their time in the White House.